Here is n early Rogers Lowboy Trailer and a Dolly. I believe it was made by US Model Mint. It is very light metal, highly detailed, might be brass. Here are some pictures, one with a US Model Mint IH KB 12 in 1/43 scale. I have to find an AC Mack to go with it some day. Picture from Tom Price Collection on Ebay. That’s an old rig, Q only you would know that. Young guy from RI, haven’t received any goodies from the south yet. Ken that’s a very nice model, really like the deck on it. 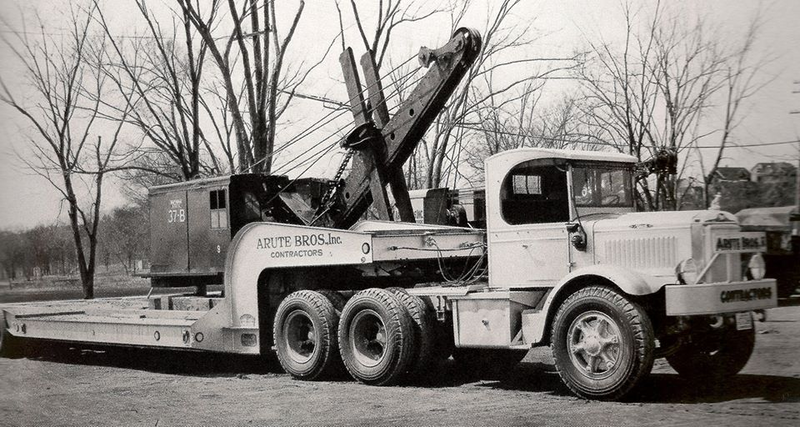 Where there ever any 1/43 scale Mack AC’s produced? Thanks Steve. There are a few Ertl banks. There was a 1/48 resin log hauler that I know of. Don Mills has a future 1/48 AC, but not out yet. Ken the Don Mills models are nice, but how do you think the 1/48 AC’s will pair up with the 1/43 Rogers. 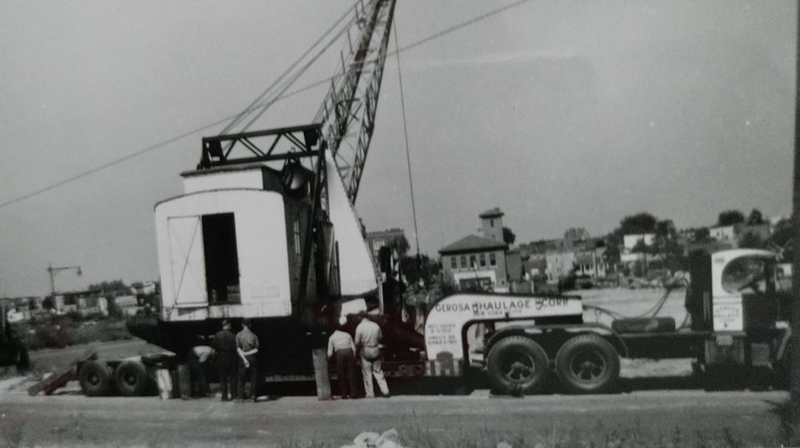 The real pictures look good with the Mack’s hauling the Rogers. I think the trailer is closer to 1/48, 1/50 than 1/43. The KB-12 looks a little big, and in the picture of the yellow one, it is wider than the Mack. Oh. by the way, the first picture for Q is suppose to say Volvo, not Pete! 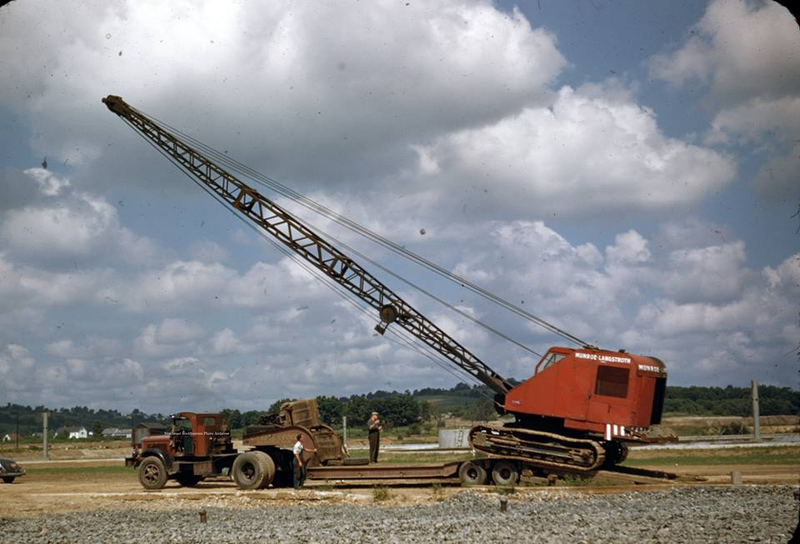 I believe the lowboy pictured was produced in brass by "The Car Works" in 1:48 scale. 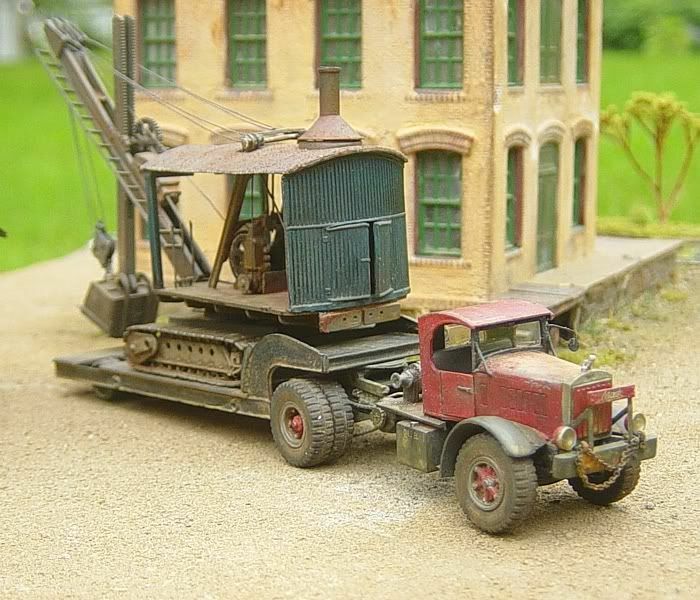 Regarding the Mack AC, there were at least two (2) produced in 1:43 scale by Mini Marque. 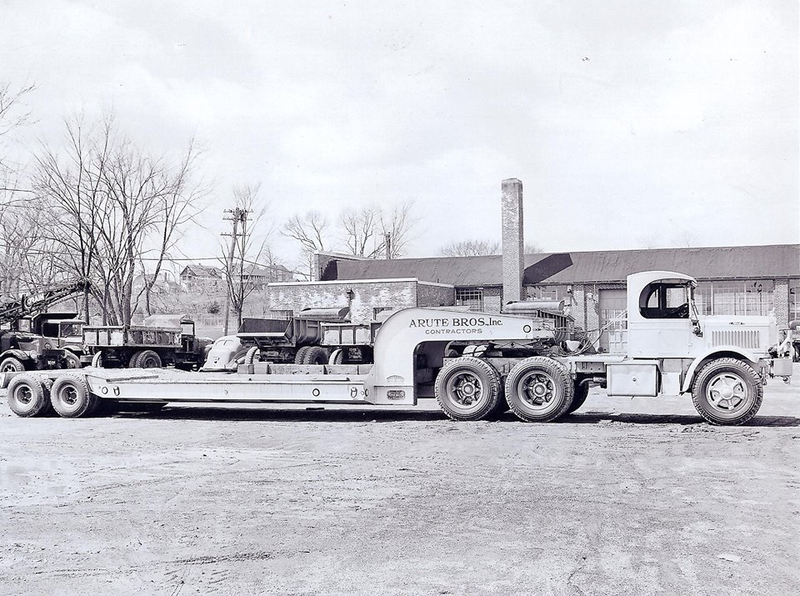 One (1) was a riggers stake bed for "Frank Malatesta" and the other was a cab and chassis, (primer gray cab & black chassis). Ken you and Q have to get Volvo friendly. That AC Mack that Randy put a photo of looks really nice, you should have that truck guru out of NC check all his unopened boxes in his lingerie draw to see if he has one that he maybe “forgot “ about or just can’t remember he has. Nice trailer Ken. Hope you find a truck to work with it. 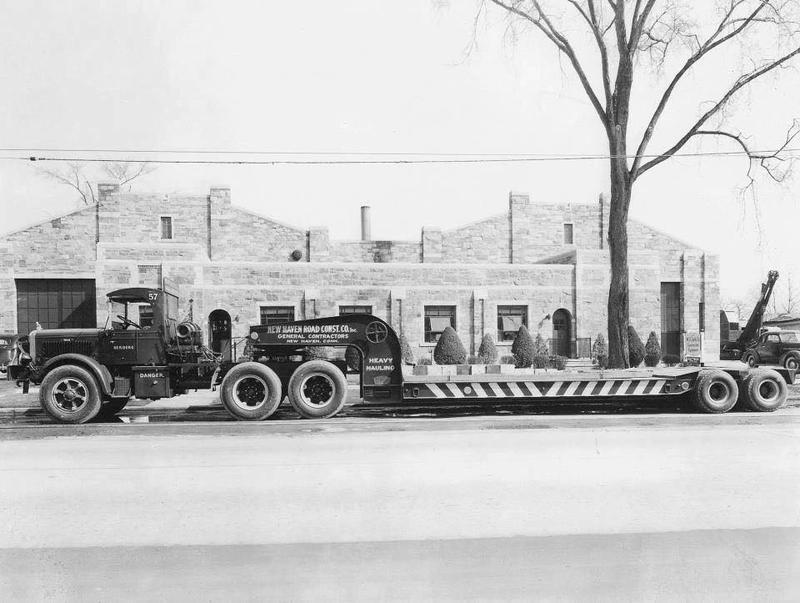 I am interested in any information on the Rogers Type D 16 wheel trailer used during the 30's-50's. Does anyone have any photos or drawings? Here is a video of the trailer being used o transport a 16" Naval cannon barrel I think in 1942. I believe that is a Mack F Model truck. Thanks for the info Randy. I have had the trailer for quite some time and bought it at a show somewhere. Thanks Robert. I might use one of Don Mills FK's if I can't find anything else. Here are the only two pictures that I have that come close. Ken I have the Don Mills FK Mack Wellington version, it is a great looking and well detailed model. I bought it about 15 years ago. If you would like close ups of it let me know. It would look great with that trailer especially the red and green color combination. Seen this pic on Pinterest, believe it is 1/87. These photos are NOT MINE. Thank you for the photos. I hope to build this trailer one day. I think Sierra West produced kits of the AB and AC Macks in 1/48 scale. Claus great pictures. You must have a library of photos, every topic that comes up you supply the photos. My “Library” is called Yahoo! Claus don’t tell “the old man” about that site he will have a boatload of questions for you, and when you answer them he will have forgotten why he asked.